Submitted by Simon Coleman on Sat, 13 Jun 2015 - 19:27. This is an additional skip and there will be another skip in late July. 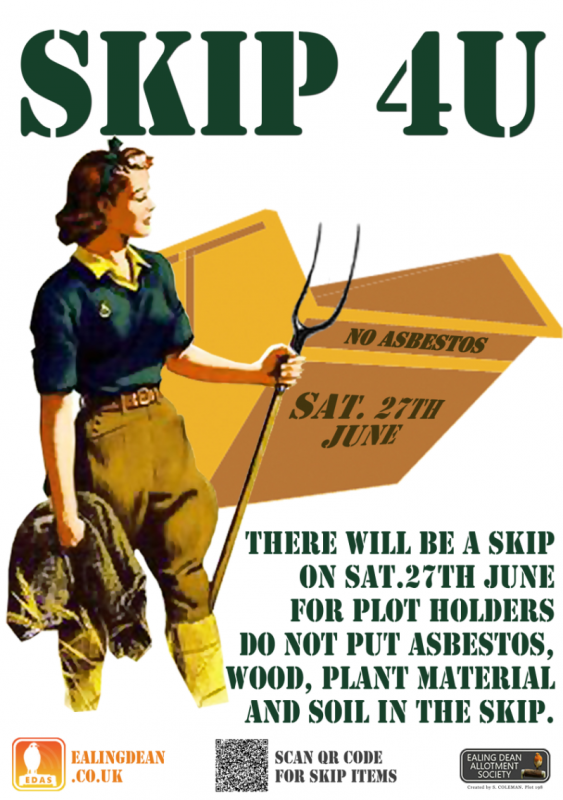 The skips usually get filled up by 11am so i would advise people to arrive as soon as possible on Saturday. Once the skip is full we will put a tarpaulin over the skip, please do not put more items in the skip if you see it covered.